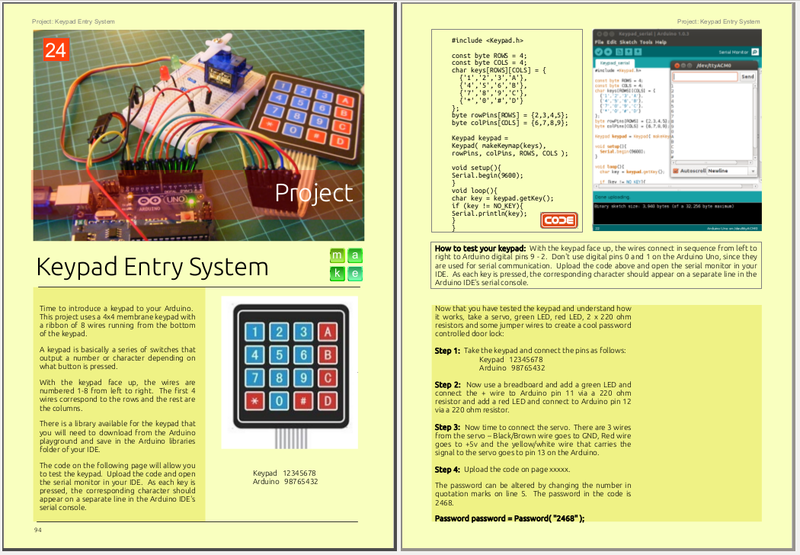 The Arduino microcontroller is a wildly popular, low-cost, and easy-to-use computer that opens endless possibilities for creating electronics. 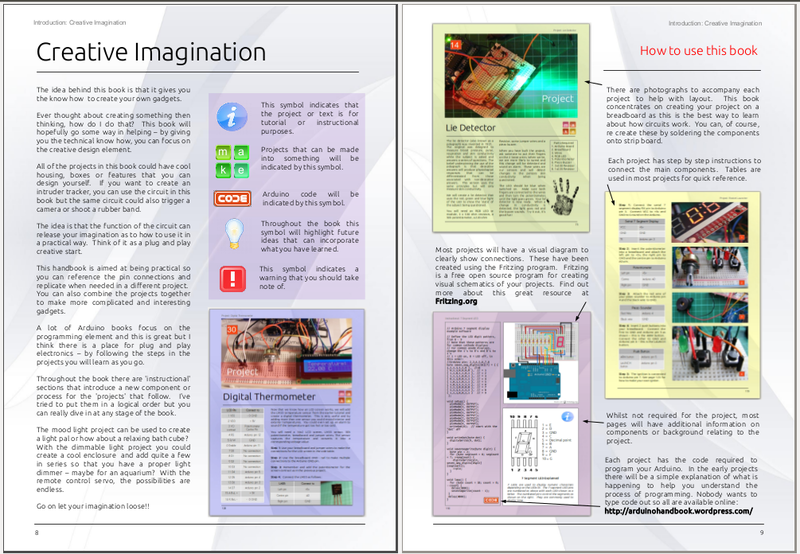 It’s a great way for anyone to learn about the magic of electronics, hands-on, and it’s caught the STEM wave, big time. 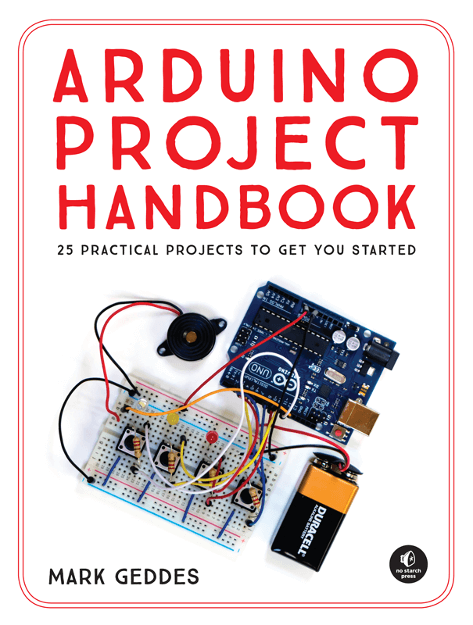 Arduino Project Handbook (No Starch Press, $24.95, 272 pp., July 2016) is a collection of 25 step-by-step projects for anyone to build with the Arduino. 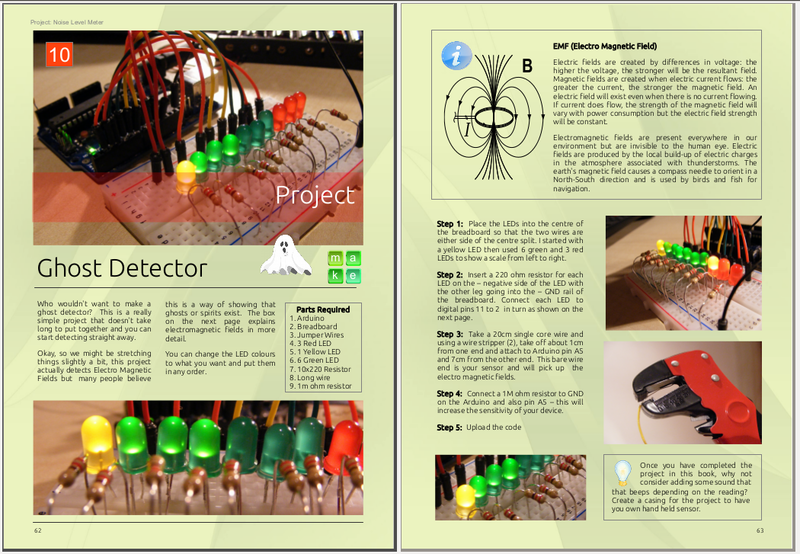 Clear instructions, full-color images, simple circuit diagrams, and the complete code make it easy for even the newest makers to build fun projects right away. 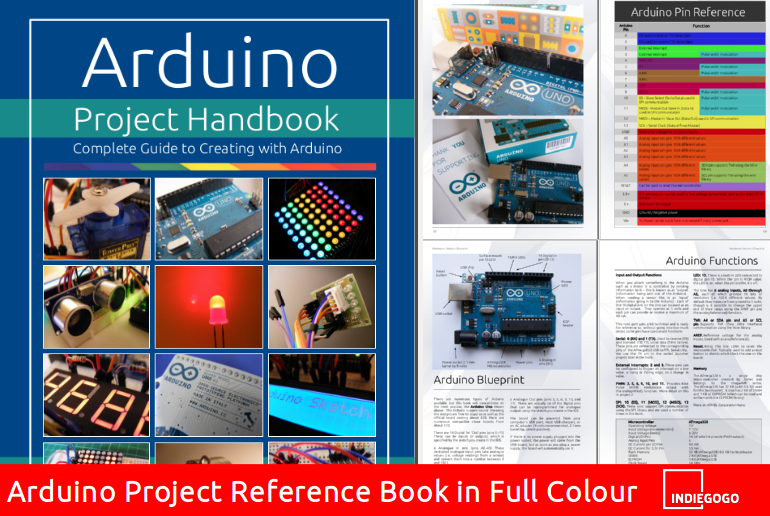 Arduino Project Handbook will be in fine bookstores everywhere this July. 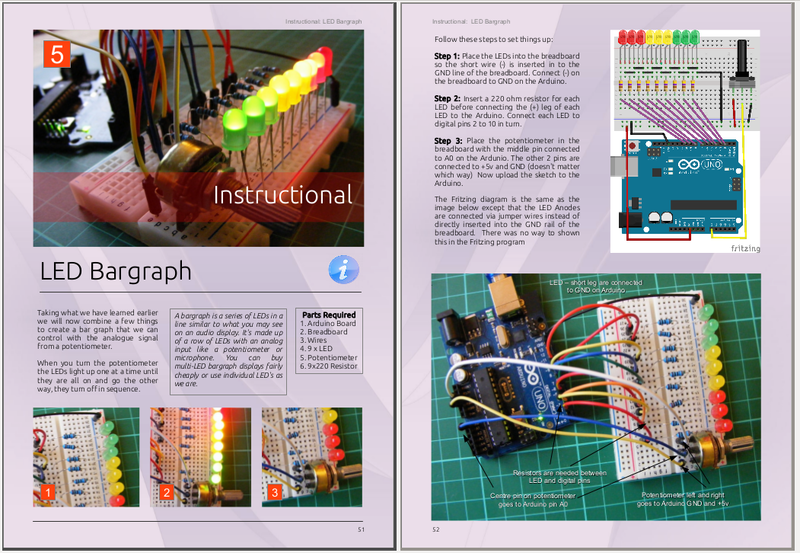 Go to the No Starch Press Arduino Project Handbook page for more information and to download the sketches for this version of the book. This version is now OUT OF PRINT, the New Version published by No Starch Press is now available to Buy here. 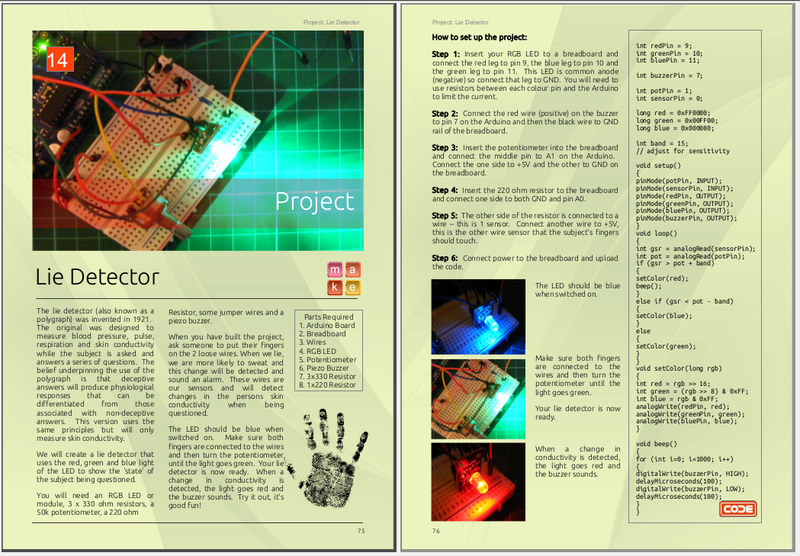 What is the Arduino™ Project Handbook? If you are reading this then you probably already have an idea of what the Arduino™ is, for those that don’t it’s an inexpensive small computer that can be programmed to control endless creations limited only by your imagination. It’s used by artists and makers to bring their creations to life. 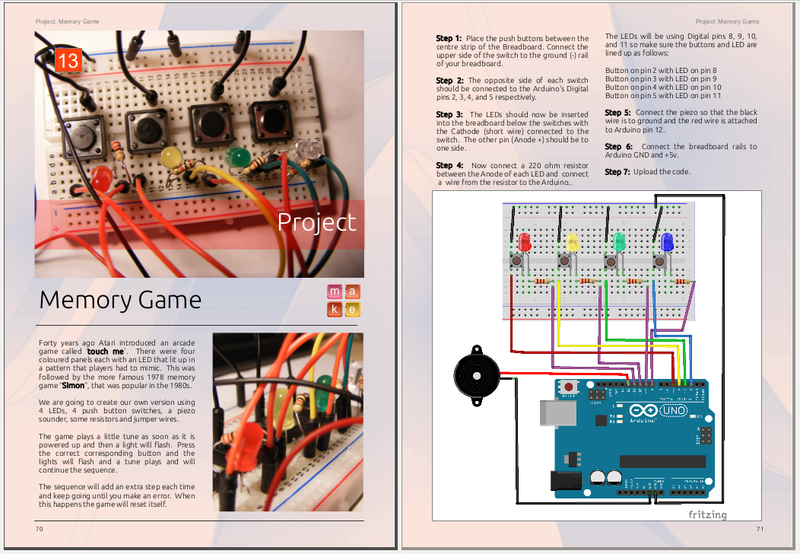 A lie detector, programmable rocket launcher, motion sensor alarm, reaction timer, electronic dice, keypad entry system, laser trip wire alarm, robot, Wireless ID card system, range finder and defusable bomb game are just some of the cool projects that this book will demonstrate how to build. 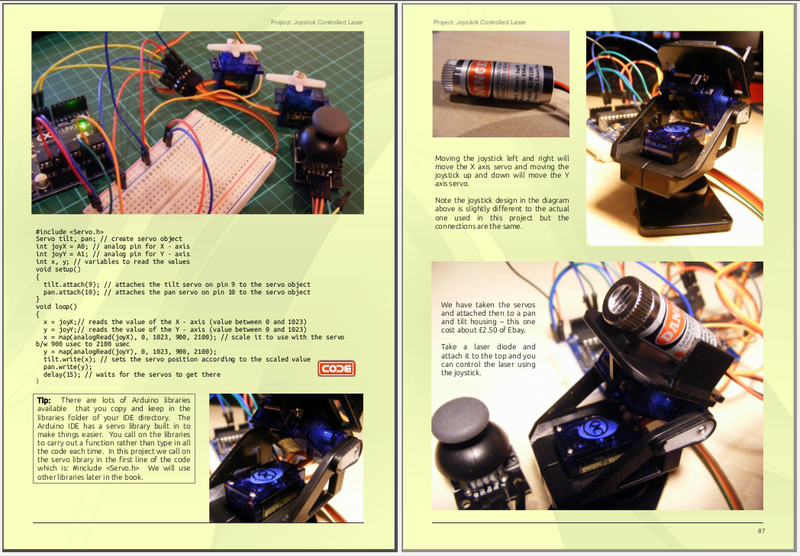 All are easily achievable and have one thing in common – they use the power of the Arduino™. 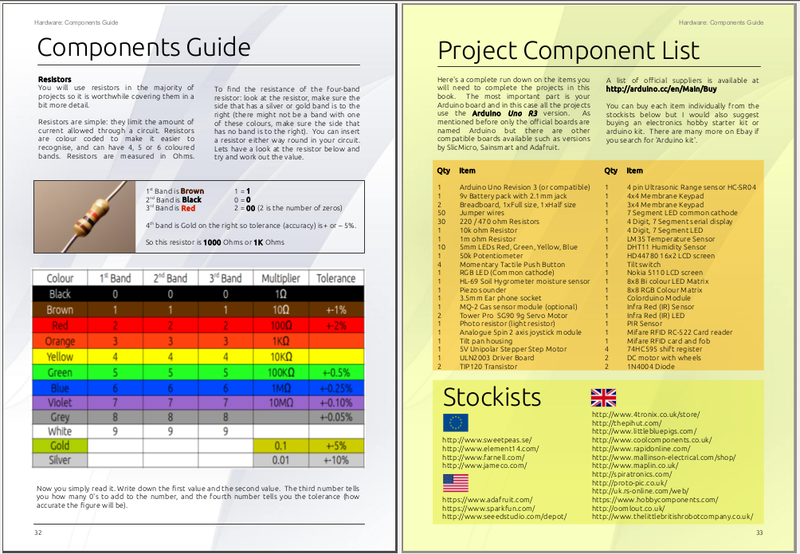 The book is a handy A5 in size featuring 188 full colour pages. It is professionally printed, bound and sealed with a gloss finish on each page. 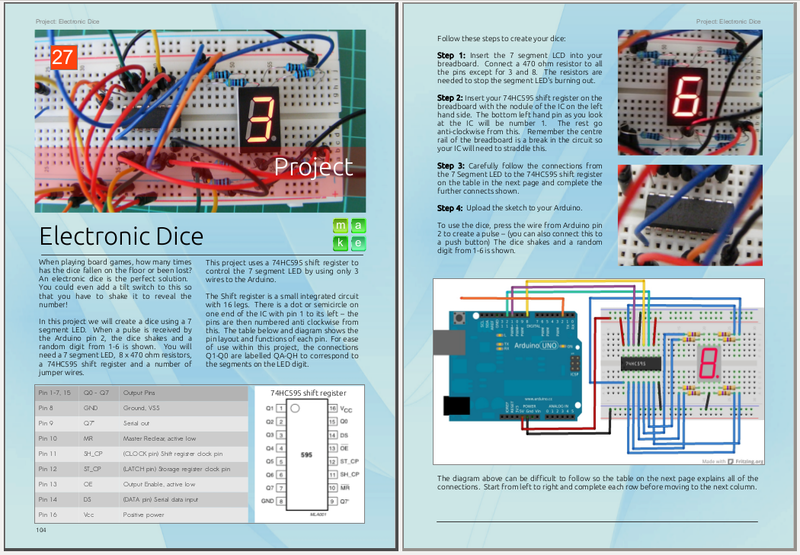 The content includes 45 projects to make with images, schematics, code and ideas for how to use the circuit in other projects. 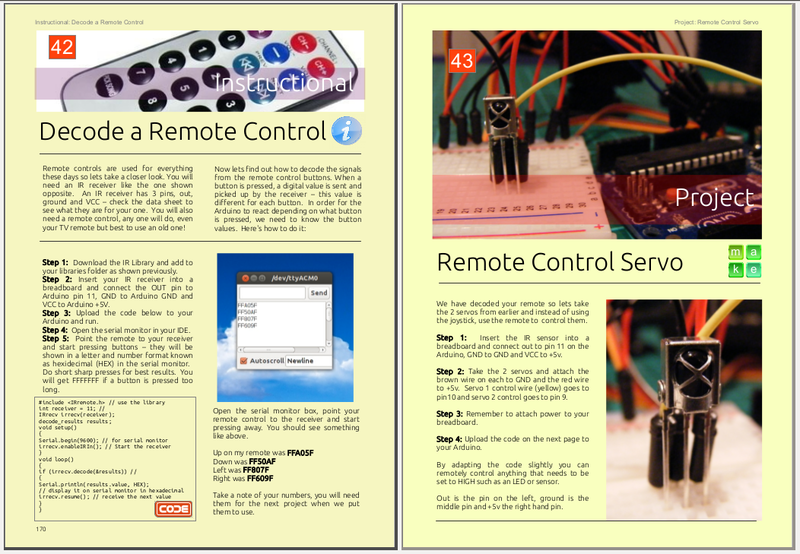 This website has all of the code listed in the book for you to copy and paste into the Arduino IDE. Go to the corresponding page for the project and copy only the text within the grey box – there is an issue with listing code in wordpress sites that means rogue HTML code can be included and the code will not compile properly. When inserting into the Arduino IDE paste as plain text to avoid errors.